Most computers will give you years of error free computing. By following these computer tips your PC will be able to stay in great shape. Most of us are lucky enough to have broadband, so there really is no excuse for not running something called Windows Update. Since Microsoft Windows was originally released, various bugs, 'holes' and exploits have been found. 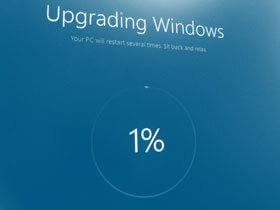 Running windows update, from Microsoft, will update your version of windows to be the most up to date that it can be. This makes your computer more secure. Click here to start Windows Update running on your computer. A virus checker is only as good as the last update. An out of date virus checker will not detect the latest viruses. Viruses are written daily. Most virus checkers rely on checking the 'fingerprint' or 'pattern match' method to detect viruses on your PC. Before you rush out to that well known PC superstore and get sold a cardboard box with anti virus software inside, consider which antivirus software slows your computer down the most. By installing something harmless, like the google toolbar, you can stop most of the simple popups from appearing. It's a relatively quick download and installation. A lot of spyware can masquerade as something usesful, such as fancy cursors and screensavers. So, unless the place you are downloading them from is reputable, avoid them. According to this BBC news story Free screensavers is the most dangerous thing to search for, download and install. According to this blog Free games is the 2nd most dangerous thing to search for. Visit the free Site Advisor and enter a web address in the box marked "Look up a site report"
Emptying the recycle bin is relatively straightforward. Just 'right click' the recycle bin icon, and choose "Empty Recycle Bin". Giving your PC a further cleaning is like emptying all the bins around the house. After deleting your tmp files, now would be a good time to empty your recycle bin! Having software on your computer that you no longer use, not only takes up valuable 'disk space', it can also slow down your PC. Only remove software that you know the name of, and definately want to remove.